Air handlers condition and circulate the air based on your desired heating and cooling requirements. 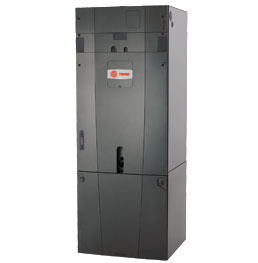 A quality and reliable air handler should operate quietly and provide energy-saving benefits. This important HVAC component is a large metal box that contains a blower, heating and cooling parts, filter racks, humidifier, mixing chamber, sound attenuators, dampers, vibration isolators, and regulating controls. It often connects to a ductwork part that cycles the air through and delivers cooler air to the home. Any rattling or unusual sound that comes from an HVAC system usually stems from the air handler. That’s why it’s important to choose wisely and invest in a handler that won’t have issues down the line. If you are in need of a new or improved air handler near Berks County, our experienced technicians will be happy to talk with you about which options will work best for your home. Contact B&L Ott today with any questions or to request service.